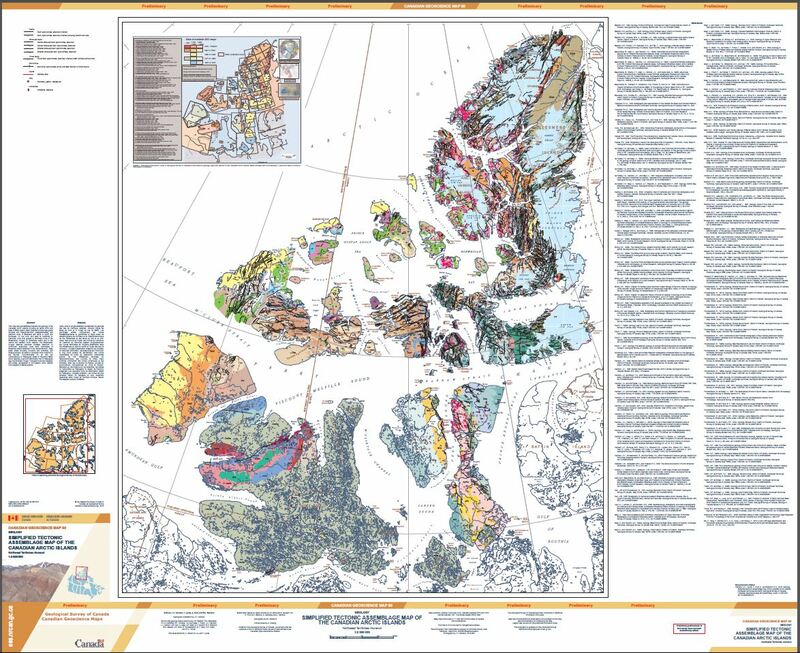 This map and geodatabase illustrate the geology of the Canadian Arctic Islands including all lands north and west of Baffin Island. Major features include high-grade Archean and Paleoproterozoic metasedimentary and granitoid rocks of Ellesmere and lands to south and southwest. To the north and west is Cambrian to Devonian cover that grades to deformed rocks of the Ellesmerian Orogen on Ellesmere Island and in the central and western Arctic Islands. The Ellesmerian Orogen features Devonian molasse detached on Ordovician evaporites, outer shelf carbonates of Ellesmere Island detached in the Neoproterozoic, deep water strata including volcanics and turbidites, and Pearya terrane, accreted to ancestral North America in the Silurian. Unconformable on all this are Carboniferous to Paleogene strata of Sverdrup Basin which features a second deformation belt of Paleogene age, the Eurekan Orogen. Youngest rocks are Neogene and widely represented in the western Arctic Islands from Meighen to Banks islands. 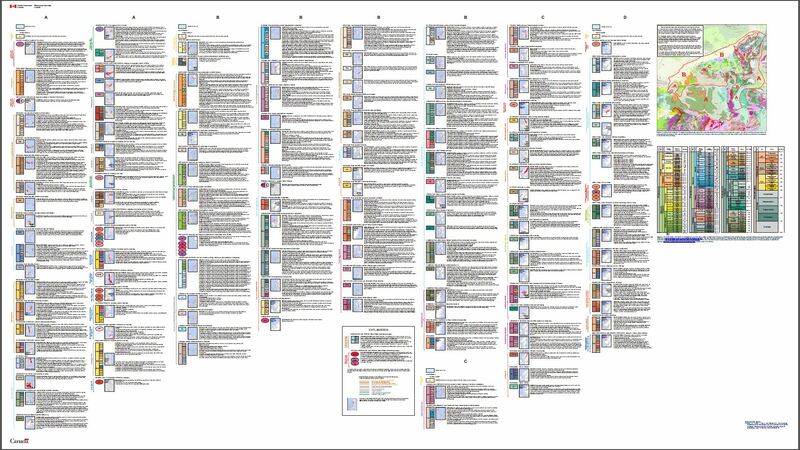 The present sheet, with separate composite legend, illustrates in simplified form the "Tectonic Assemblage Map of the Canadian Arctic Islands" at 2 million scale. An accompanying geodatabase contains all the data used to construct the fifteen separate 1:500,000 scale CGM maps in this series. These data include systematic descriptions of unit rock types, geological age range, formally and informally named rock bodies, commodities of economic interest (mineral and energy related), and depositional environments.